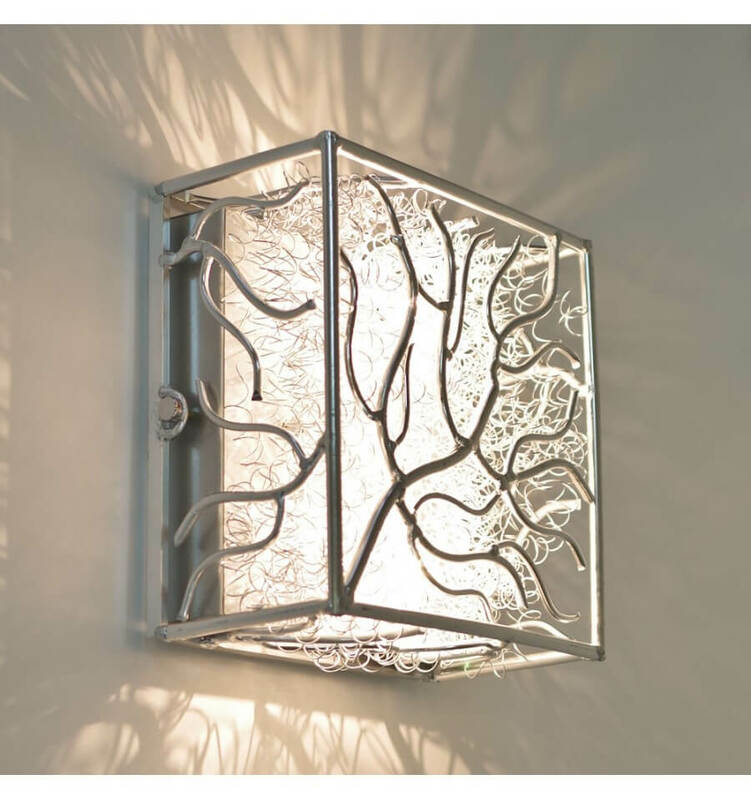 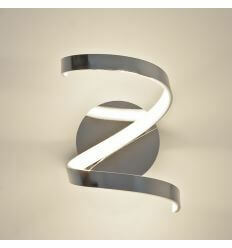 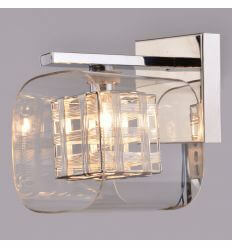 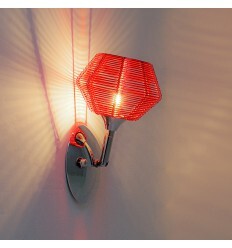 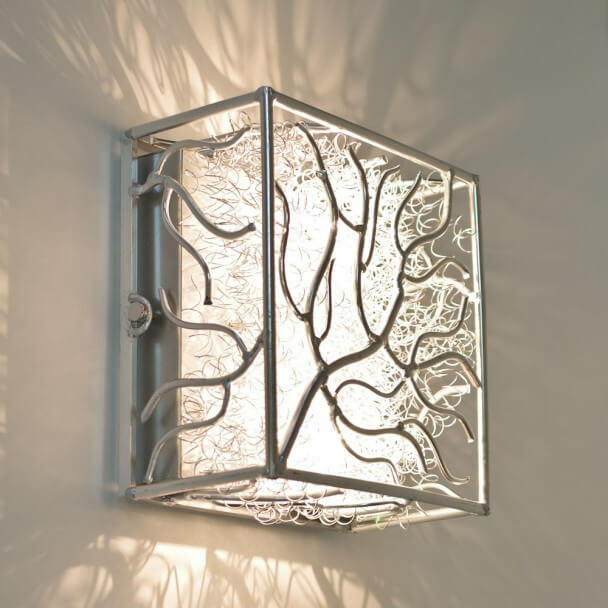 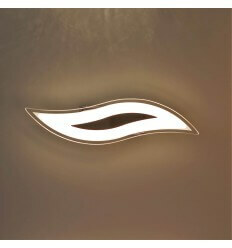 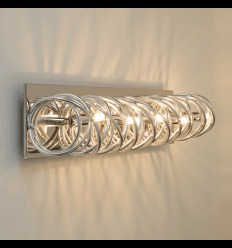 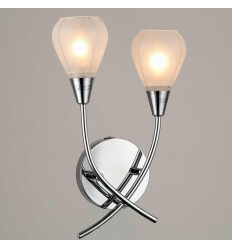 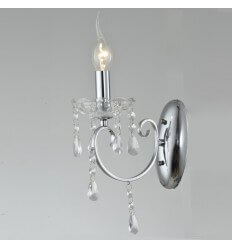 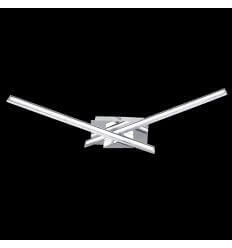 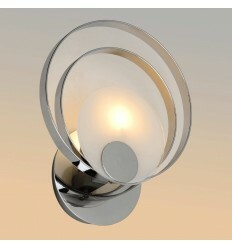 A classic, yet beautiful wall light. 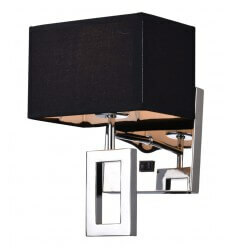 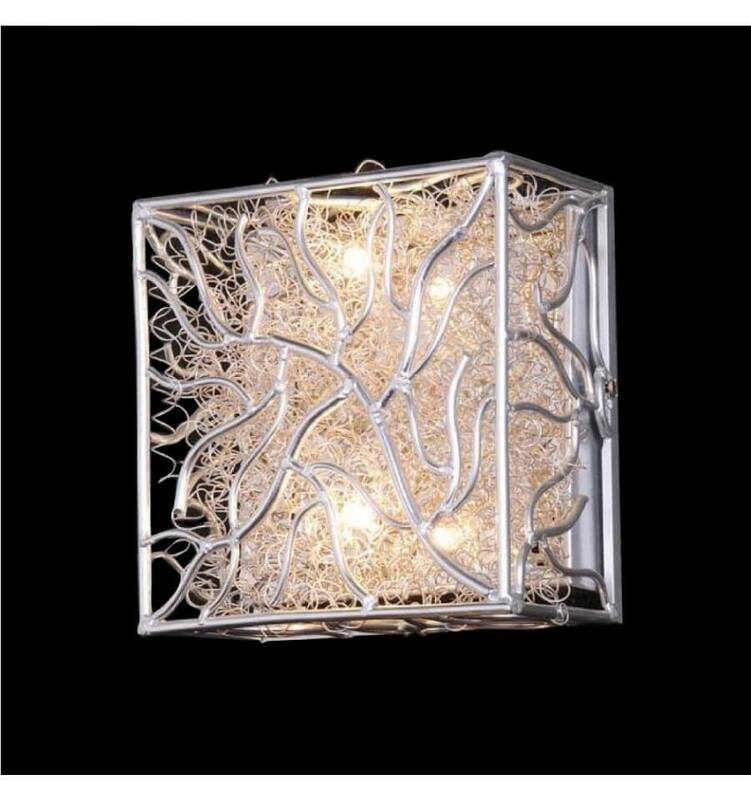 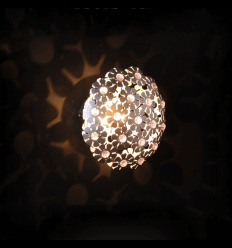 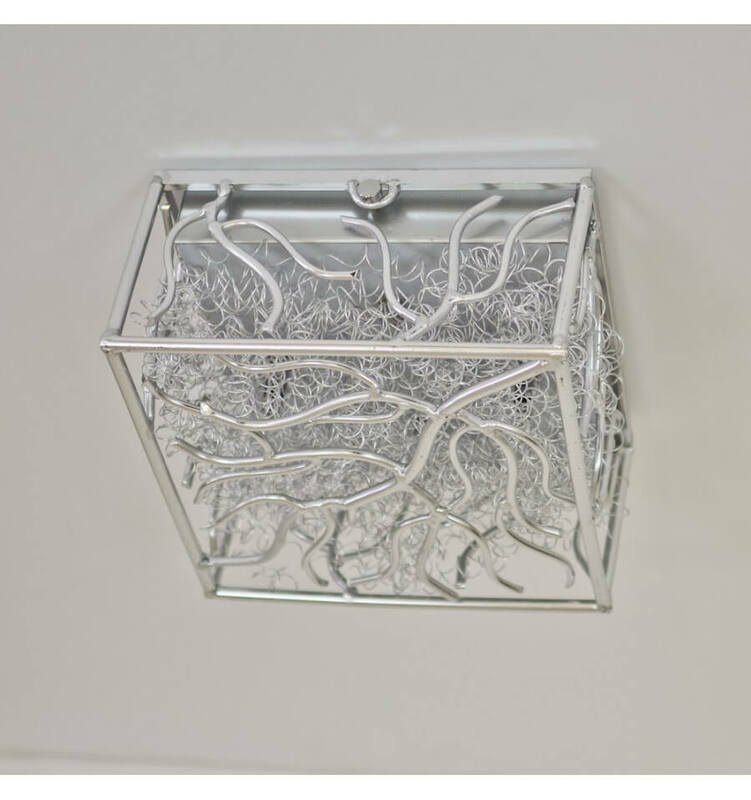 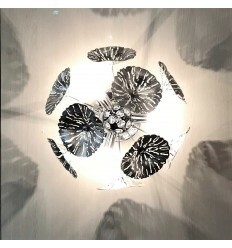 It has two chrome branches and two glass shade in a aquilegia shape. 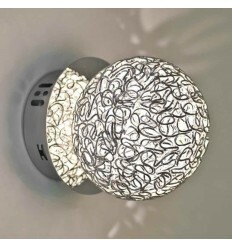 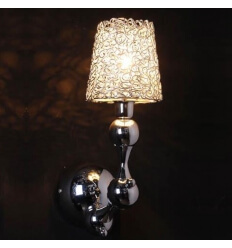 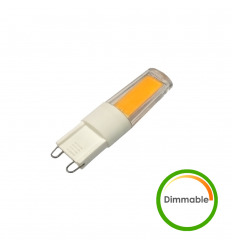 It will illuminate your hallways, bedroom and entrance with two lights, provided by two E14 bulbs. 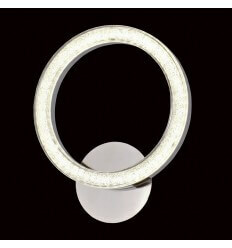 The opal glass allows you to enjoy the soft light without dazzling you too much. 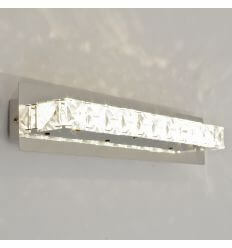 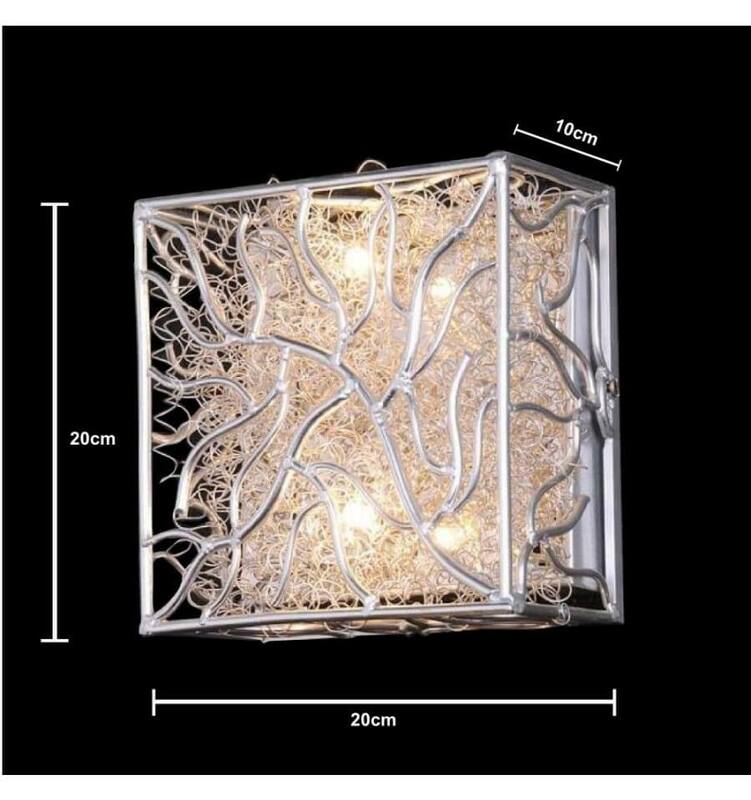 A really nice LED Wall Light. 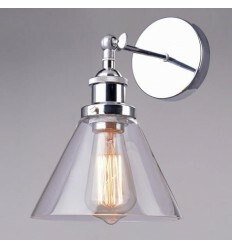 Its silver surface will enhance your interior design through the mirror effect. 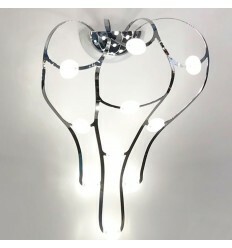 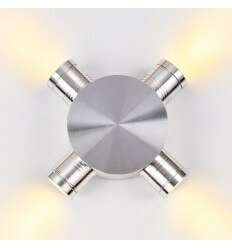 Four lights, provided by LED bulbs will spread a wonderful and joyful light into 4 directions. 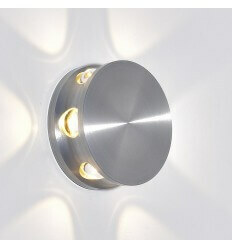 Easy to set and to clean up, this wall light will make your life easier.